Any cocktail will do, but somehow, a good single malt scotch poured over crushed ice with a twist of lemon just seems perfect with the Gougere appetizer. A good Amantillado Sherry would be delicious as well. In a medium saucepan, melt the butter with the water and salt. Let it come to a rolling boil and immediately add flour, stirring vigorously with a wooden spoon. Keep mixing until the flour absorbs all the liquid and pulls away from the sides of the pan. You want to cook the mixture for about 3 minutes to dry out the dough. Put the flour mixture in to the bowl of a standing mixer with paddle attachment. On medium-low speed, mix for about 30 seconds to cool it a little. Add eggs one at a time, making sure that it’s fully incorporated before adding the next. Once the dough is all combined, it should be slightly thick, shiny and pasty, add the cheese, black pepper and thyme. Pipe onto a parchment lined baking sheet in your desired size. (Note: I have made these by simply dropping a small spoonful onto the parchment paper and it works well.) If you want them as appetizers, pipe 1″ rounds. For breakfast size gougères pipe the rounds about 2 1/2″. Sprinkle grated Gruyère on top.Bake until they are puffy and nicely browned, about 25 minutes for the small ones and 35 minutes for the large ones. *Thanks to the wonderful blog “Treats” for this delicious recipe! Wash the greens and spin them dry in a salad spinner. Loosely chop the lettuces and raddichio. Slice the endive or, if you prefer, break the spears apart and toss whole in the salad. Wash and core the apples. Slice them about 1/8″ thick. Toast the walnuts on a baking sheet in a 350 degree oven for about five minutes, just long enough to let the oil and flavors release. Toss the greens together and place on four chilled salad plates. Arrange the apples on the top and sprinkle with the toasted walnuts. Whisk the vinegar, salt and dry mustard together in a small bowl. Continue to whisk as you add the olive oil in a steady stream. Blend in the pepper and pour a bit over each salad. Slice the top off of the fennel bulb and thinly slice the bulb. Peel and slice the shallots. Place the olive oil in a heavy saute pan and heat for 3 minutes. Add the fennel and shallots with a pinch of sea salt and pepper. Saute for five minutes. Remove from the heat and place the mixture in a bowl, covered with foil to keep warm. Salt and pepper the pork chops. Return the saute pan to the heat on medium high. Place the pork chops in the pan and sear for five minutes, turn and repeat on the other side. Remove the chops from the pan. Carefully pour the port into the pan over high heat and allow to boil for one minute. Turn the heat down and return the pork chops to the pan. Turn the heat to low, cover the pan and let simmer very slowly for 20 minutes. Just before serving, add the butter to the pan to incorporate into the sauce. If needed you can had 1/2 cup chicken broth to the sauce. To serve, place the fennel mixture on the plate and top with a pork chop. Spoon the sauce over all and grind a generous amount of black pepper over all. Note: I serve this with tiny yellow potatoes that have been roasted at 425 degrees for one hour, toss them in a bit of olive oil and sprinkle with coarse sea salt before roasting. My all time favorite dessert, hands down. Sprinkle the remaining 1/4 cup granulated sugar over top of the custards and caramelize the sugar with a small, handheld kitchen torch. Serve immediately. This classic crème brulee recipe makes 6 servings. *Thanks to About.com: French Food for this yummy recipe. It’s finally Friday and I’m featuring a favorite recipe for a casual weekend dinner. 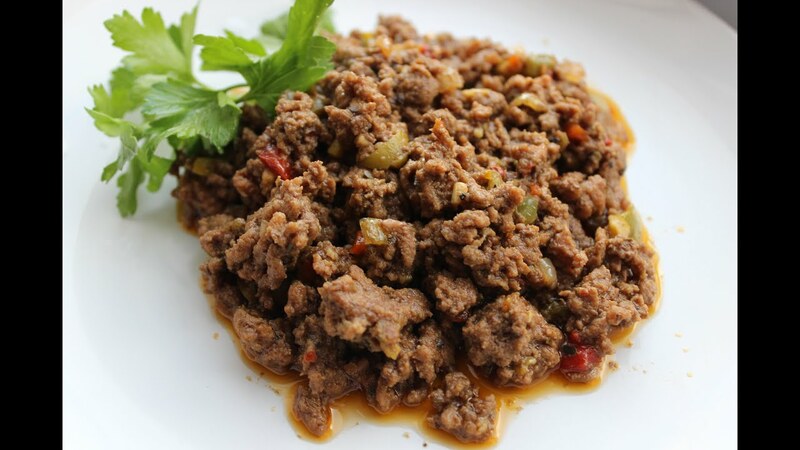 I first made Picadillo when I found the recipe in, of all places, a Suzanne Somers diet cookbook. It is so delicious. I’ve served it to family and guests over the years and never had a negative response! I’d love to know if you try it! Pair this with a good Cabernet, some warm tortillas and perhaps a crisp green salad for a delicious meal! Heat the olive oil in a large skillet over medium heat. Add the onions and peppers. Cook until they are brown and tender, 10 to 15 minutes. Then add the tomatoes, salt and pepper to taste, garlic, cumin, and coriander. Turn the heat up to medium-high and add the meat. Brown the meat, using a wooden spoon to break it into tiny pieces. Add the balsamic vinegar and capers. Reduce the heat and simmer, covered, for 1 hour. Serve in bowls with garnish of your choice. Enjoy! For me, being a “foodie” means that I have an overwhelming amount of cookbooks and printed recipes from various on-line sites. One of my notebooks is full of recipes from so many years ago I’m not going to say but it’s around 40! I’m on a cleaning out mission as Spring arrives. I’m sorting through, deleting, and categorizing ….making life simpler! This recipe/menu is definitely one of our favorites and one I’m keeping! I’m substituting Louisiana shrimp for the crab meat that is called for. This is simple, delicious and something you can proudly serve guests! Sprinkle the fish with the cajun spice blend. Heat the olive oil in a large skillet until the oil is just smoking. Quickly “bronze” the fish, about 3 minutes on each side. Remove the fish from the pan and deglaze with the white wine. Simmer for a couple of minutes, then add the shrimp, lemon juice and garlic. Simmer until the shrimp are cooked through, about five minutes. Add the heavy cream. Place a fish filet on each plate and top with the shrimp sauce. Sprinkle with fresh chives and serve. Melt the butter in a saute pan. Add the string beans and cook over medium heat until just tender, about five minutes. Add the tomatoes and almonds and continue to cook over low heat until the almonds have browned. Season with pink salt and a bit of freshly ground pepper. Heat the grill to medium heat, spray the pineapple with coconut oil spray and grill for a couple of minutes on each side. Mix the mascarpone with the honey and heat the nutella a bit so it will be “runny” (I do this by boiling water in a saucepan and placing the jar of nutella in the hot water for about five minutes. Toast the hazelnuts in a 350 degree oven for about five minutes. To assemble, place to pineapple slices on each plate. Put a dollop of the mascarpone mixture on top and drizzle with nutella. Sprinkle the hazelnuts on top and garnish with a fresh mint leaf if you’d like. SO DELICIOUS!! !